It can be exciting when you’re a new homeowner moving into your own home with your own bathroom for the first time. But the problem most people have when they do this? Overdoing it with the bathroom accessories. It might seem to you that you need any and every item you can find to fit in with your colour scheme, from towels to shower seats. But remember, with every item you pick, consider whether in a couple of weeks this will become clutter. Of course, there are some items that are necessary in having a stylish, yet functional bathroom. 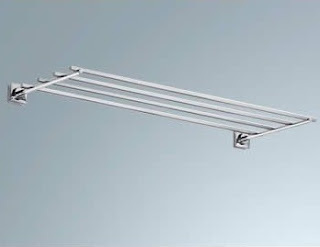 Every bathroom needs either a towel rail or hooks to hang your clothes while you’re bathing. A heated towel rail may seem a necessity when you think about drying your damp towels, but is it something you really need in a new bathroom with good ventilation? You’d be better to hedge your bets on a more stylish chrome towel rack with multiple rails to keep items separate. You’ll also want to consider buying some other necessary items such as a toothbrush holder, a waste basket and a toilet roll holder. Don’t forget though that in a stylish bathroom, less is always more. You don’t need an array of accessories such as pictures and multiple mirrors to make your space seem more you. Try to stay within a specific colour scheme. One that is particularly popular for bathrooms is blue, the colour of water, possibly even with a nautical theme. Although that is no excuse to have boats and anchors littering the room! For a nice finishing touch, perhaps add a potted plant or two and leave it at that. I’ve been dying to have our house renovated this coming summer but I still have to look for enough funds to sustain it. It was long overdue already as I’ve planned it few months ago when I thought that the money will be coming in already. I have prepared my own floor plan layout and some designs when we decided that our budget is still not enough. We’re planning to have the second floor in slabs so we have to make some changes in the planned design. Anyway my brother is a Civil Engineer and he can alter and improve my designs anytime I want. I long to have our own place to live and since our house is so big for my Mom and younger sister we decided to make a duplex home so my family would have our own place beside my Mom. I learned from my brother that renovations are quite tasking and harder than building a house from scratch so a good construction company should be hired. 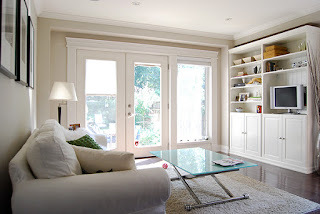 Well for us my brother’s construction company will be fine but for those living in Toronto or nearby they can consult with renovations toronto to give them a simplified process of renovating homes for a less stressful construction. Renovating your home could be so tiring but at the same it’s also exciting and you just need Woodsmith Construction to do your home improvements toronto in a well organized and easy environment. They have a cadre of professional experts to handle your projects with high quality service that will make you at peace that your dream home will soon materialize.